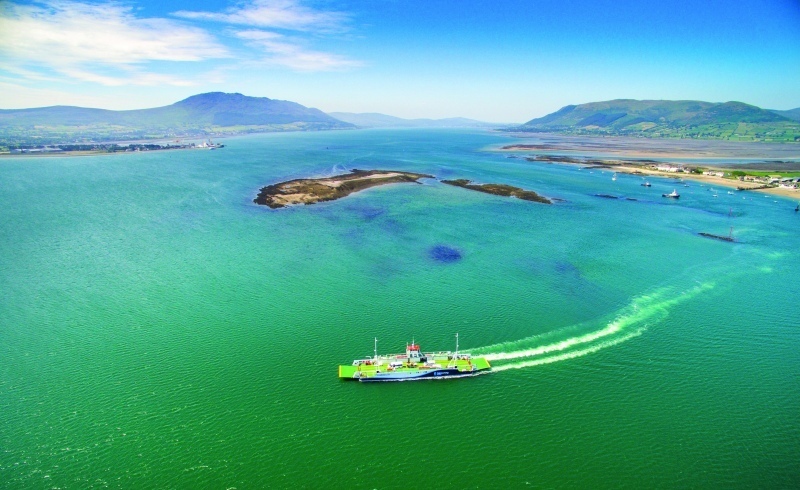 The Scenic Carlingford Ferry links the historic & mythical Ireland’s Ancient East, from the Cooley Mountains to the Gateway of Northern Ireland, to the majestic Kingdom of Mourne. This stunning, yet largely undiscovered area of Ireland is a hidden gem and Ireland’s best kept secret. Your passage way to adventure & discovery with Ireland’s newest, must do visitor attraction. Believe us, you won’t be disappointed! Sailing from Greenore, Co Louth & Greencastle, Co Down; with echoes of Vikings, Medieval Castles, C. S. Lewis’s inspiration for Narnia, Celtic myths & legends, Leprechauns, stunning scenery, world renowned Royal County Down Golf Course, walking, cycling & outdoor activities, seals, birdlife, superb seafood, local craft beers, whiskey, artisan food & a fantastic friendly welcome, this is not to be missed! The journey time is approximately 15 minutes.